This Fall has been an interesting one in Central Indiana. Our time with Fall has been spent on either end of the spectrum—blazing hot or absolutely cold. For this couple, it didn’t really make a difference. They came out and braved the chillier side of Fall in early November to commemorate this year and to get some happily-married-after-2-years pictures. That’s right, this is not an engagement despite what it may look like with two young people in love! In fact, Kelsey and Levi have been married for over two years now! 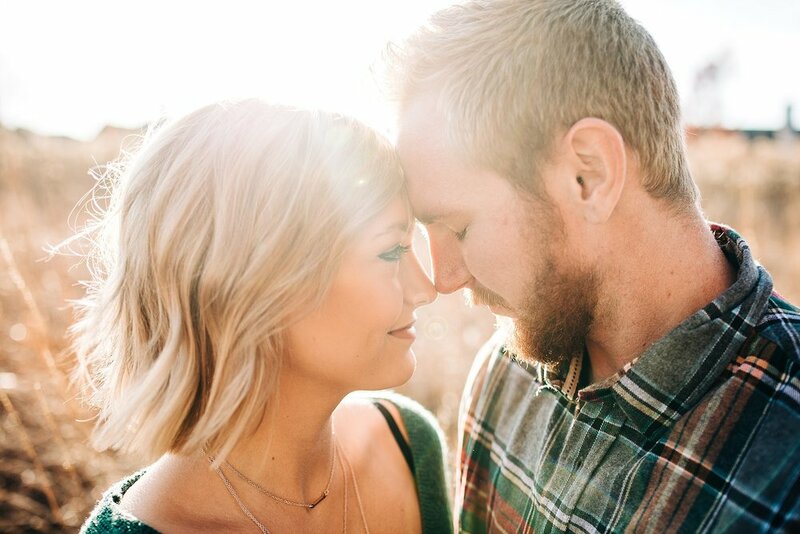 Kelsey told me that they never had engagement photos before their wedding, so this shoot was special. It was their ‘engagarriage shoot.’ (That’s a working title by the way). Kelsey and Levi first met in 2012 at Spring Break! While they didn’t necessarily talk much when they first met, they did get to reconnect via Twitter a few months later. 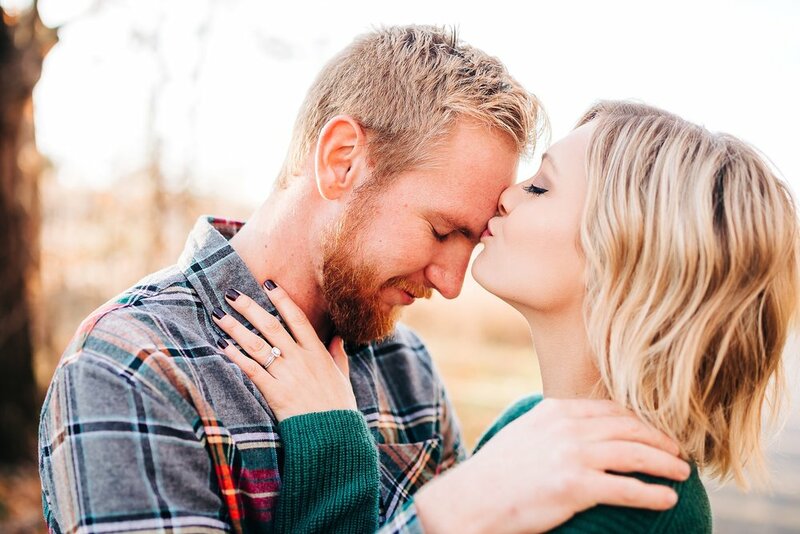 3 years of long distance dating (3 hours one way), Levi and Kelsey persevered while Kesley finished up her undergrad in Illinois. Then, on her birthday weekend, Levi proposed at the Melting Pot with rose petals, a private booth and all of the careful details that it takes to have an epic engagement. Their parents met for the first time shortly afterward and they were married in 2016. Kelsey shared that Levi is genuinely the sweetest person and that he cares more about others any day than himself and when the time is right—she knows he will be an awesome dad. I first met Levi earlier in 2018 and learned that he was married to the lovely Kelsey and that they have two sweet doggos back at their home. When I heard that they were interested in having some updated wedding style images done I reached out and they modeled for me at the Fowler House Mansion Styled Shoot. If you don’t remember what that shoot was like or you’re just joining us, take a look at how amazing Kelsey looks in a wedding dress and how every groom should consider a dark blue slim fit tux. Take a look here! Kelsey reached out earlier this season and asked if she and Levi could come out for some less formal photos and I booked them immediately. This couple knows each other so well and even after two years of marriage, they still burn strong for one another. They are absolutely #couplesgoals! Levi owns his own lawn care business and does exceedingly well taking care of his clients, myself included, while Kelsey works in the dental field. They both love to travel, visit their families, and play with their two sweet dogs. Levi also enjoys a little skateboarding which I believe you can see in some of the images below, (check out the air he gets, now image that with a skateboard).